SDFix is a program written by AndyManchesta that removes big amount trojans, worms, rootkits and other malwares. Click here for view a list of files that can be removed. 1. 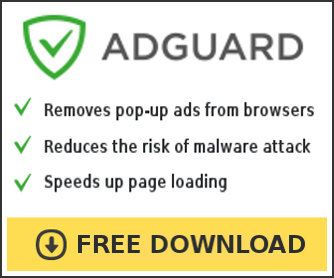 AdwCleaner – free adware, PUP, toolbars and hijackers remover. 2. MalwareBytes Anti-malware – free spyware, malware, trojan remover. Double-click on the SDFix. If a “Security Warning window opens”, click on the Run button. 3. Reboot your computer in to Safe mode. Press Enter or OK button. If this error message “The command prompt has been disabled by your administrator. Press any key to continue . . ” is displayed when running SDFix. If the Command Prompt window flashes on then off again on XP or Windows2000. If SDFix still doesnt run check the %comspec% variable. If you are still having problems, then I would recommend that you follow the instructions and post your logs in the spyware removal forum. I will help you. Paul ask for help in our Spyware removal forum. 1.My Shell.exe in Location C:\ has a trojan, will this program be able to fix it?? mani, before running SDFix, try Malwarebytes Anti-malwatre or SuperAntiSpyware. I downloaded sdfix and tried to use it to repair my safemode (I can’t restart into safe mode). It didn’t work. So, I downloaded safebootrepair like you suggested to Coung. When it finished running, I got and error. “Error: Key” System\currentcontrolset\control\safeboot\minimal does not exist!” Now what do I do? I have also tried running Malwarebytes and Combofix but they won’t run. Whatever I have disables my Avast, wireless network and has slowed everything down GREATLY! I’m trying to install/run these programs off of a thumb drive. Robyne, ask for help in our Spyware removal forum. Great job. SDFix cleaned a lot of “uncleaned” computers many times. sometimes it’s much easier to boot in safe mode immediately and start and leave SDFix to do the job. My advice to all who don’t know how to start this simple tool is to find somebody who know and leave him to make your life more simple !!! I have a computer that only boots to the background screen. No functionality at all beyond that point.. Task manager has been disabled. I want to try your program but this computer wont boot into safe mode either. How do I get this to work from here? Lawrence, try boot your PC in Last good configuration. I am infected with a hacktool.rootkit worm. It has created a backdoor in my PC. I used Malwarebytes anti-malware and it detected ipsecndis.sys and ntndis.sys files as rootkits. The anti-malware asks me to restart in order to delete these files. However, the files could not be deleted upon restarting. Also, the infected sys files are not visible in the system32 and system32\drivers directories. Neither can I manually delete it nor can spybot, malwarebytes, Unhackme types softwares delete it. What should i do?? It is very frustrating. Varun, start a new topic in our Spyware removal forum. I will check your PC. My xp computer does not boot to safe mode. im getting BSOD with 0x0000007B error. Unable to run the SDFix in normal mode. what to do? Ramesh, try follow the instructions to repair Safe mode. essa, if you need a help with malware removal, then start a new topic in our Spyware removal forum. I will help you. essa, you can boot your PC in Normal mode ? my PC is infected with win32/heur. can SDFix help me removing it? where can I find its latest version? Is there a comparable program to SDFix that will work for Vista? Oscar, look my previous comment. anu, SDFix is not available now. Use combofix. Patrik…SDFix is still available but both links above are broken.